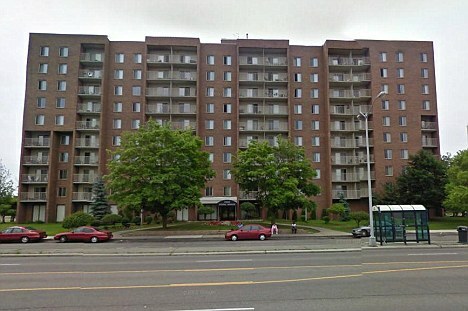 A nine-year-old boy fell to his death from his ninth-floor bedroom window in what police suspect was a suicide. Jarod Barnett’s body was found on Wednesday afternoon by neighbours, lying on a grass verge outside his apartment block in Detroit, Michigan. According to police he had threatened suicide in the past and sources said he had recently been in trouble for shoplifting. 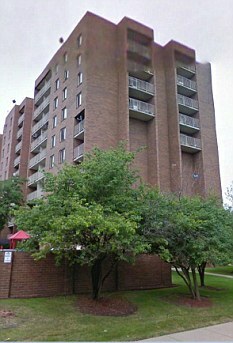 Michele McCray, a neighbour in the low-income Young Manor complex on Detroit’s south side, raised the alarm at 5.30pm. Instead she ran inside and called 911. Police were the first to arrive on the scene, and declared Jarod dead. Shockingly no ambulance was available to attend the scene, and his body had to be taken to the nearby Henry Ford Hospital in the back of a squad car. Michigan State Representative Rashida Tlaib is outraged no ambulance could be spared, blaming city budget cuts that have left emergency services short on resources. Neighbours have meanwhile paid tribute to Jarod, who they describe as a ‘good kid’. Police are trying to establish what caused Jarod to take his own life. Sources told Fox 2 Detroit he had recently been in trouble for shoplifting. If it’s ruled to be a suicide, it will be the second such tragedy to hit the poverty-stricken city in just two months. In May a seven year boy was found hanging by a belt from his bunk bed, following weeks of complaining about being bullied at school..
At the time, psychologists at the University of Michigan said that threats of suicide from young children needed to be taken seriously. They informed parents to watch out for signs of suicidal behaviour, which can take on different forms in youngsters – who can appear angry and irritable when they’re depressed.